Karan Malhotra’s directorial movie Brothers has completed its journey of 10 days with total 78.70 crores at domestic box office. Now the movie is losing its pace but the performance it showed in first week was commendable. With its strong emotional story and the support of fans, Akshay Kumar starrer Brothers was collected such excellent figures in its first week. Being the non-masala movie some critics have not find it up to the mark but even after that, it has received overwhelmed response from audience across the globe. From the second week, the performance of Brothers has been slowed down and it wasn’t collected impressive figures in the weekend. After the first week, it was expected to touch the mark of 100 crores atleast in its lifetime from Indian screens. But now the target is looking very difficult to accomplish. Still no movie of Akshay has crossed 100 crores as domestic total in this year and now Brothers is also reflecting the same. In October year’s 4th movie of Akshay ‘Singh Is Bling‘ is releasing, may that will hit the bull’s eye. 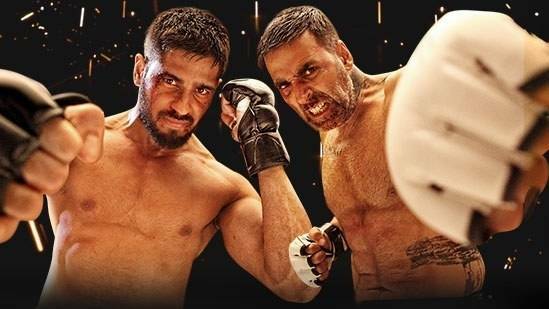 In the first week, Brothers was registered the second highest opening week collection record with 72.60 crores that was included 52.08 crores of weekend and 20.52 crores of weekdays. In its second weekend, the movie has minted the total of 6.10 crores that includes 1.40 crore of Friday, 2 crores of Saturday and 2.70 crores of Sunday. Now it has entered in weekdays again, and asusual started facing drops in its business. On its 11th day, Brothers has done the business of only 1.20 crore with more than 50% of drop than previous day.